Are you as fed up as I am with traditional corn or rice cakes? 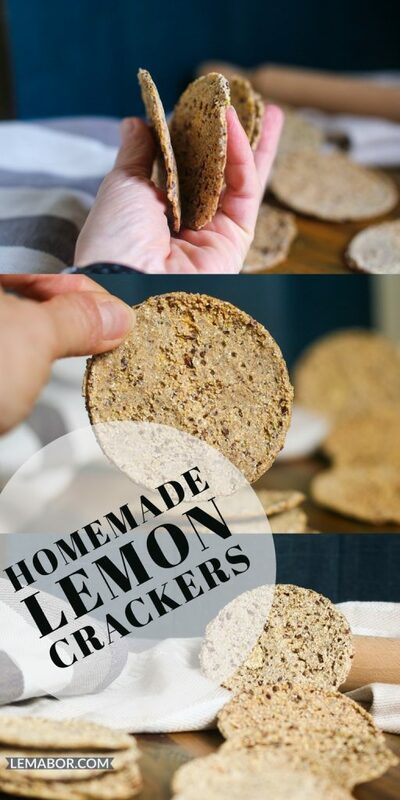 You can easily swap them with these round homemade lemon crackers. 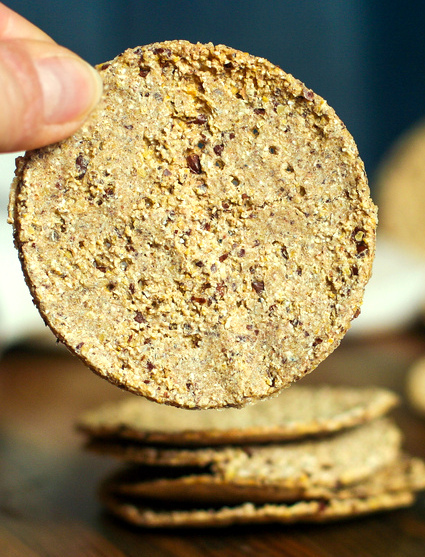 They are | High-Carb | Low-Fat | C65-P10-F25 | Low-Cost | and really crunchy. When is this recipe great for? I love mixing flavours, flours, spices and herbs. I have a lot of fun studying, combining and trying to reach new solutions and alternatives to satisfy required macros and most of all the taste-buds. 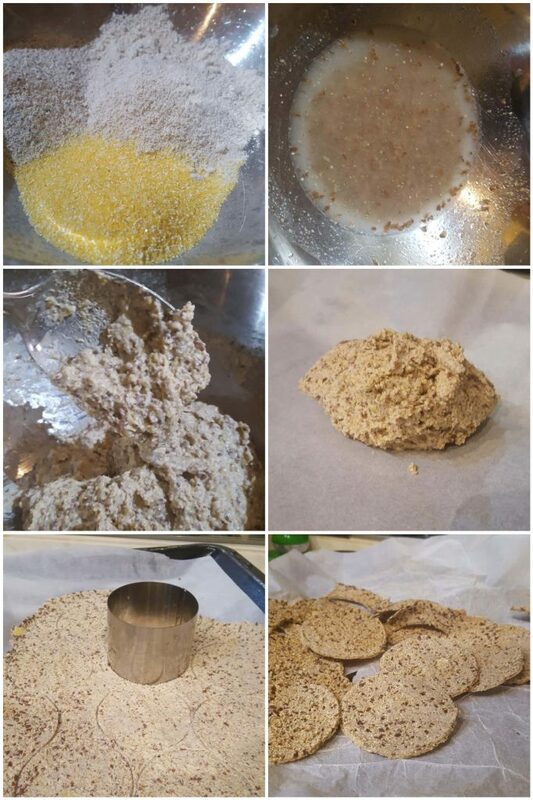 It’s pretty simple to do, there is just a tipping point when it comes to spreading out the dough, if it’s too thin it burns, but if it’s too thick it becomes soggy. 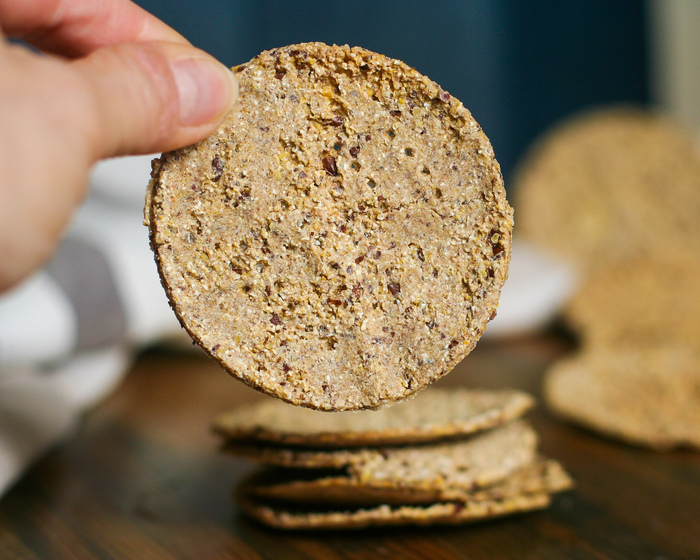 When I made the very first batch of these crackers something went wrong, I overcooked them and they turned into a hockey puck. I found this double layer trick that’s a time saver, the rolling-pin doesn’t stick and the dough can be flattened evenly on the tray. I use this easy procedure in a plethora of recipes (i.e. 3 flours chips, speck flatbread, chicken pizza…). As usual, there’s nothing hard about it, it is all about manual skill, nothing more. I think they’re perfect with ham, cheese and veggies and I love to stuff them. 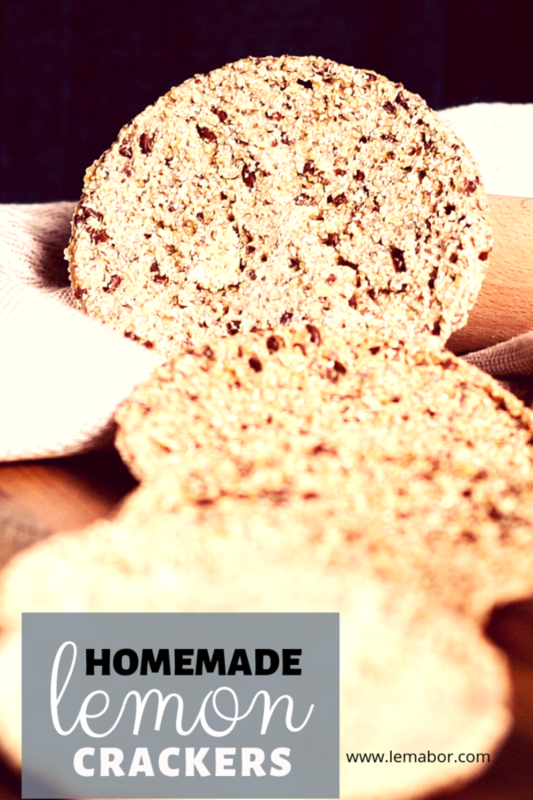 To make these home made crackers I spent a total of €0.65 and €0.06 each. Cheap far beyond my expectations and put together in 20 minutes! I eat them as a mid-afternoon snack or pre-workout meal, just a couple of hours before I hit the gym along with ham or cheese… so delicious. They’re crumbly, crunchy…you can’t have only one!. 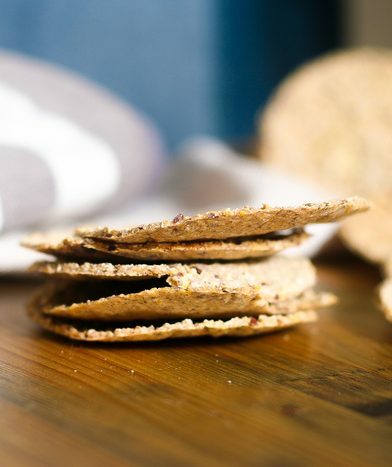 These crackers are rich in carbohydrates and have some good fats coming from the ground flaxseed. I love them slathered with PB or jam. 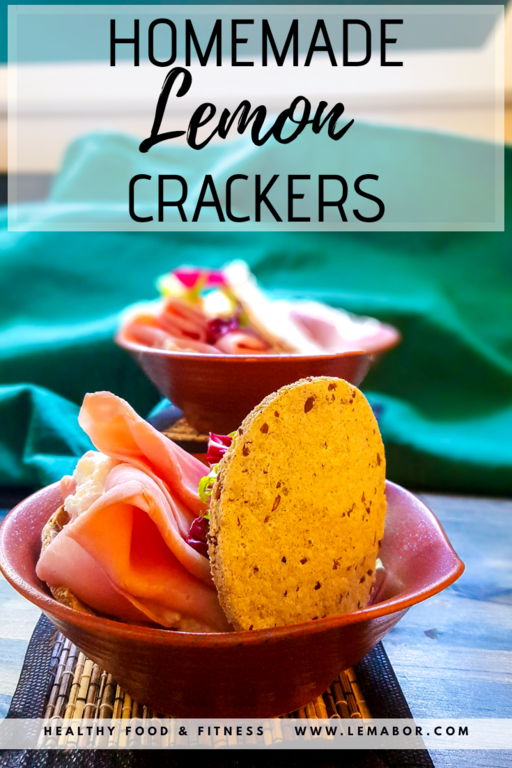 It’s an eclectic snack and I really like it, I hope you do too. They can be stored in an airtight container or a cookie jar for a couple of days. Despite that, I eat all of them straight throughout the very first day. When I have these round crunchy things handy I can’t just let them sit in the pantry. Polenta is a sort of cornmeal, even if it’s not the same as I said a couple of posts back: polenta and ground chicken bowls. So if you have any problem finding polenta you can sub it with cornmeal, it should be fine as well. If you haven’t got all the flours available, it works well to increase the amount of what you do have. I mean, if you run out of cornmeal double the buckwheat flour dose instead. In a grinder or a pestle grind the flaxseed put it in a bowl, add 70 ml of water and let it jellify for 10 minutes. Meanwhile, in another mixing bowl sift the flours together along with salt and baking powder. Pour the flaxseed mix in the bowl with the flours, add the zest and stir it till well combined with another 30 ml of water. The dough should be smooth but sticky to touch. Spread it out on the tray lined with the baking paper helping yourself with the other baking paper sheet placed on top of the dough. Squeeze and spread it out from the centre to the edge of the tray using a rolling-pin. The dough should be 1 to 2 mm thick. 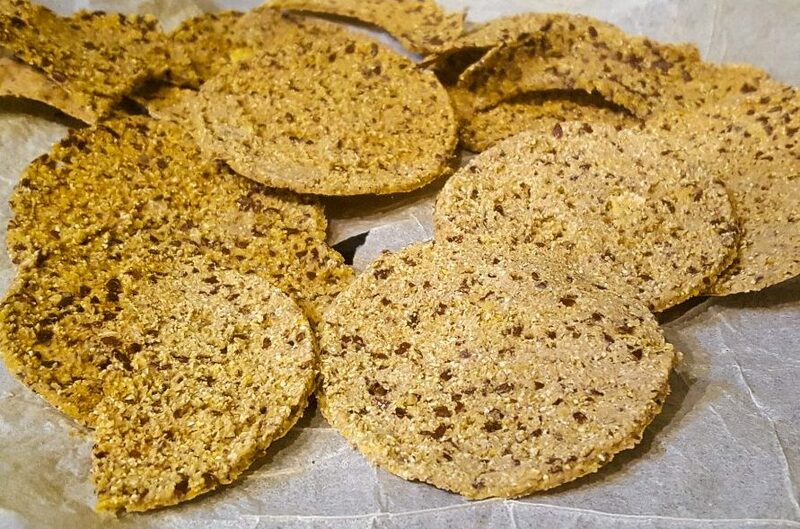 With a dough ring cutter cut off 10 discs, or any other shape you prefer. Riddle the surface with holes using the prongs of a fork. Bake at 180°C for 10 minutes then flip them and let cook for another 10 checking while cooking. Let it cool on a cookie rack, that’s it! Pour the flaxseed mix in the bowl with the flours, add the zest and stir it till well combined adding more 30 ml of water. Squeeze and spread it out from the center to the edge of the tray using a rolling pin. The dough should be 1 to 2 mm high. With a dough ring cutter cut off 10 discs, or any other shape you prefer..
riddle the surface with holes using prongs of a fork. Bake at 180°C for 10 minutes then flip them and let cook for another 10 checking while cooking..
Let it cool on a cookie rack, that's it!